Italy has a laundry list of economic problems: Young people struggle to find work, national debt is through the roof and banks are saddled with bad loans. Growth has ticked higher in recent years, but not enough to satisfy voters who will go to the polls on Sunday. Italy's economy is still around 6% smaller than it was in 2008, before the European debt crisis exploded, according to UBS. Investment is down 20% from its peak before the crisis. Voters say their biggest concern is rampant unemployment, according to a survey by the European Commission. 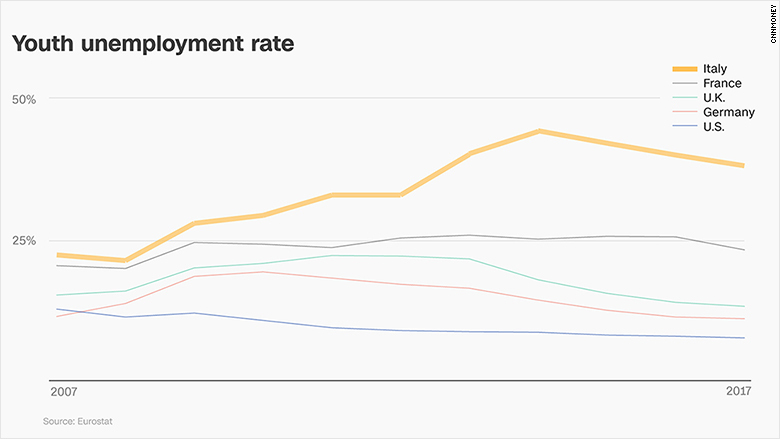 More young people have found jobs in recent years, but a third of Italians between the ages of 25 and 29 remain unemployed. It's one of the highest rates in Europe. The labor market is tough even for university graduates: Only 64% of young people with degrees are employed, according to the Organisation for Economic Co-operation and Development. It takes graduates roughly a year to find their first full time job, according to Eurostat. Many willing workers are forced to accept short-term contacts or part-time work. There simply aren't enough entry level jobs. When the Bank of Italy advertised 30 junior positions last year, it reportedly received over 80,000 applications. 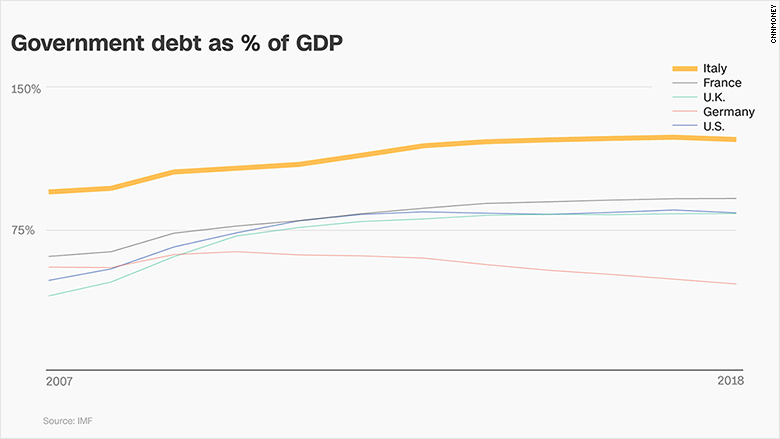 Italy has struggled with a mountain of government debt for years. Net national debt is over 120% of GDP, putting it in the same league as Japan. Jack Allen, an economist at Capital Economics, said more government spending would cause investors to worry. "Even a small fiscal stimulus could lead to increased concerns about debt sustainability," he said. 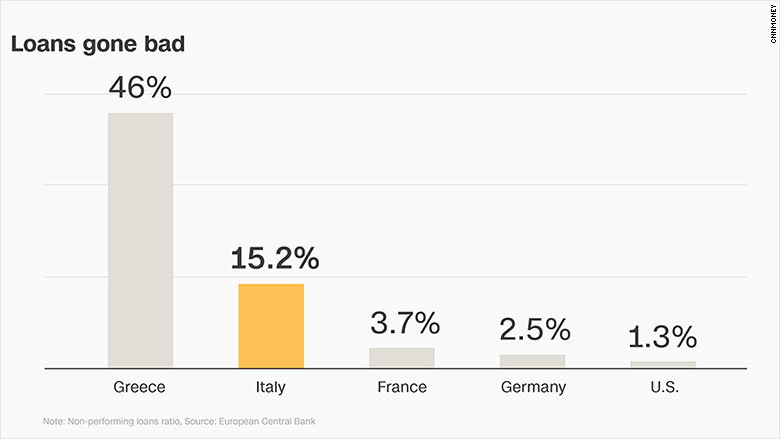 Italy's banking sector is also troubled. More than 15% of loans to households and businesses have gone bad, compared to 2.5% in Germany and 3.7% in France, according to the European Central Bank. Rome has forked out billions of euros in recent years to rescue banks and stabilize the financial sector. Economists say the country needs major reforms to boost growth and bring down its debt burden. But with opinion polls suggesting a highly fragmented parliament as the most likely outcome of Sunday's vote, dramatic changes are unlikely. "Whichever parties form the next government, they seem unlikely to turn the economy around," said Allen. "None have a clear plan to strengthen the banks, and neither do they intend to make it much easier to do business in the country." 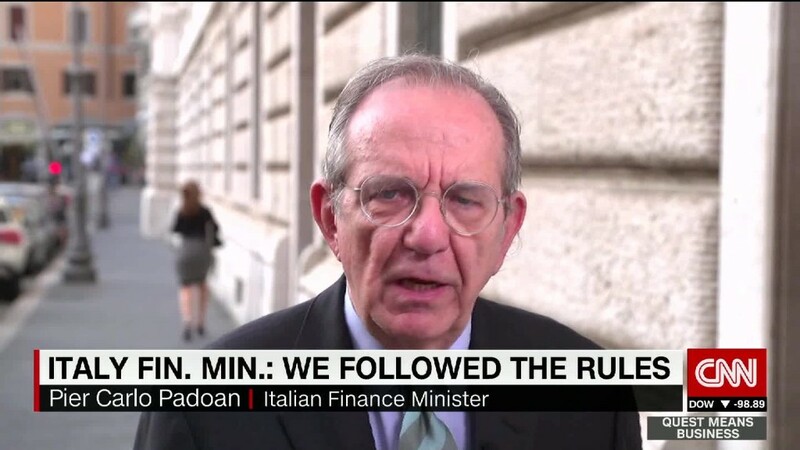 Italy has a habit of churning through governments, and many fade away without having much of an impact. 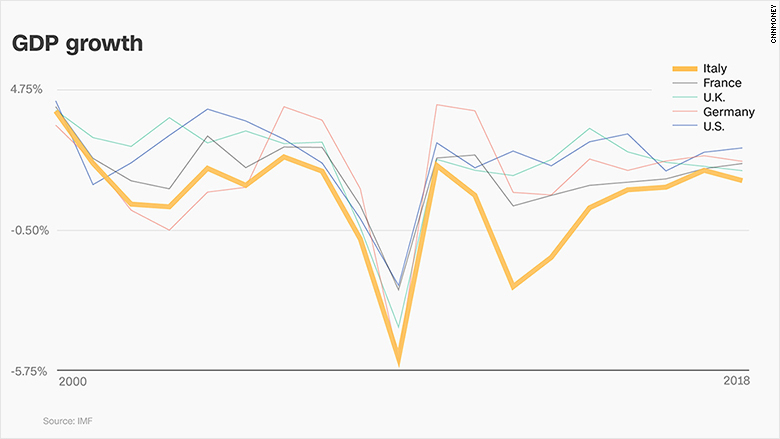 Still, recent indicators suggest the country's slow recovery is gathering pace. Business confidence surveys show optimism at its highest level in over a decade. Meanwhile, private consumption and investment are growing from a depressed base. Economic growth is expected to hit 1.5% this year, which UBS analysts described as "strong by Italian standards."